Emirates, one of the most luxurious airlines in the world has launched the world’s longest A380 route. Shortly after the end of the longest flight in the world (The Singapore Airlines A340-500 Singapore to Newark flight) Emirates has brought a little joy launching not the longest in the world (That is still owned by Qantas’ 747-400 route between Sydney and Dallas) but the longest A380 flight between Los Angeles and Dubai. 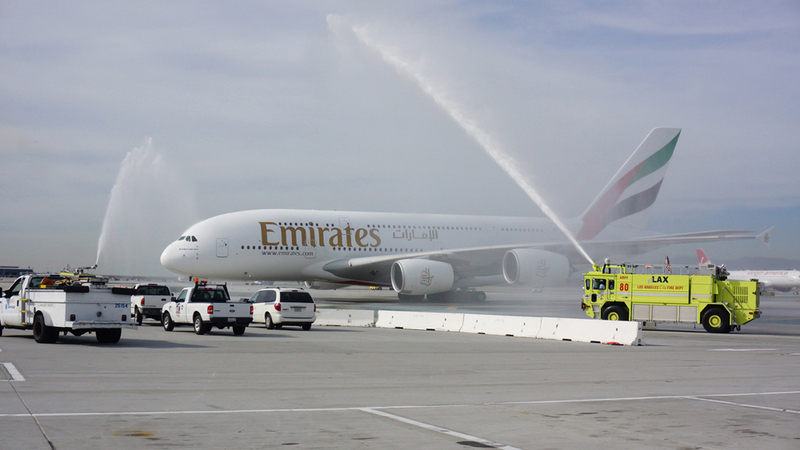 Los Angeles now welcomes A380’s from the majority of the aircraft’s operators. Qantas, Singapore Airlines, British Airways, Korean Air, China Southern, Air France and Emirates. Whilst the airline already served Los Angeles, this is the first time the A380 has been scheduled between the city pairing. The landmark flight, has an exciting route, crossing the Russian Federation, the North Pole and Eastern Canada, and has a published duration of 16 hours 20 minutes, more than enough time to delve into over 400 hours of in-flight Hollywood movies (which the airline is now marketing as a winning formula for the route). “Bringing the glamorous A380 set of wings to the City of Angels seemed like a natural fit as this aircraft mirrors the luxury of the Hollywood lifestyle,” said Hubert Frach, Emirates’ Divisional Senior Vice President, Commercial Operations West. Emirates 23rd A380 service replaces the airline’s Boeing 777-200LR on the route. The introduction of the 489-seat A380 service, powered by US made GE GP7200 engines, is a direct response to demand with over one million passengers travelling between Los Angeles and Dubai so far. Departing Dubai at 0820hrs and arriving at Los Angeles International Airport at 1250hrs the same day. 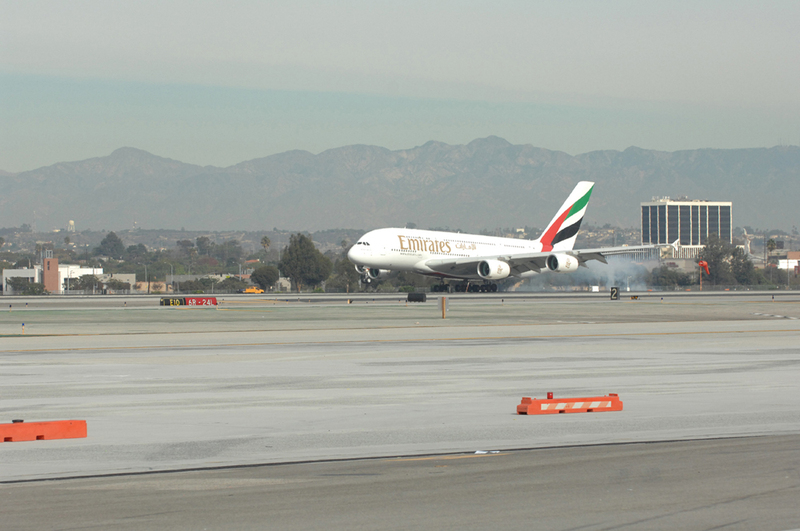 The return flight, EK 216, departs Los Angeles at 1600hrs and arrives in Dubai at 1950hrs the following day. We do like the Emirates A380, it’s a good product, and will add a bit more comfort, especially in the premium cabins on this hefty 16 hour flight. Perhaps next time we travel to the states, the A380 is the way to go! The route is Sydney and Dallas, not Houston. Air France also operates a daily A380 to LAX. Wow – love that bird. Great report!